A 7-year-old boy was shot on Chicago's North Side over the weekend. CHICAGO (WLS) -- Two children were among dozens of people shot in Chicago this weekend. A 7-year-old boy was wounded in a gang-related shooting on Chicago's Northwest Side just after 8:45 p.m. Sunday, police said. He was sitting in a car with a 19-year-old man in the 2400-block of North Parkside Avenue in Chicago's Belmont Cragin neighborhood when police said someone opened fire from inside another vehicle. The boy was shot in the shoulder. The man suffered a graze wound to the head. He drove them to Community First Medical Center, where their conditions stabilized. Police said the shooting was gang-related. It remains under investigation. 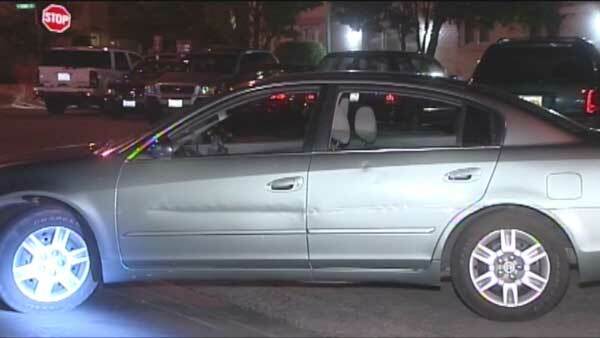 In a separate shooting, a 6-year-old girl was injured on Chicago's South Side Sunday night. Police said two people were fighting in the 5600-block of South Bishop Street in the city's Englewood neighborhood around 8:40 p.m. The girl was outside near them. One of the people involved in the fight pulled out a gun and opened fire, striking the girl, police said. Police said the shooter drove off in a white SUV. The girl was taken to Comer Children's Hospital with a gunshot wound to the leg. She is listed in serious condition. In all, three people were killed and at least 36 others were injured in Chicago over the weekend.